The Real Estate (Regulation and Development) Act, 2016 has given every possible measures to the aggrieved home-buyers. Having said that, the builders take absurd excuses so that they can escape the obligations they have on them as per the provisions mentioned in the RERA Act. One of the contention they are taking to defend themselves is that there is a dispute between the Builder and Landowners, the said defense by the builder can be discussed in the light of recent judgment by Bihar RERA Authority. The aggrieved homebuyers in the state of Patna approached the RERA – Bihar against the builder namely Agrani Homes Pvt. Ltd, a real estate firm. The builder had promised to handover the possession within three years of execution of the buyer agreement and homebuyer on the basis of such promises booked a flat developed by the builder. Both the parties executed a buyer agreement with respect to the flat. Till date, the buyer has paid more than 80% of the total consideration and it has been more than 5 years the construction has not even started. Therefore, the aggrieved homebuyer under duress filed a case with the RERA. However, the builder in his defence stated that due to disputes between the landowners, he could not start the construction of the project. Hence RERA has ordered Agrani Homes to refund the principal amount along with suitable rate of interest on the deposit from the date of payment of the deposit till the date of refund to the aggrieved parties within 60 days. That this is not the only case against the Agrani, there have been 3 more cases before this and in all the cases the orders were not in favour of the builder. 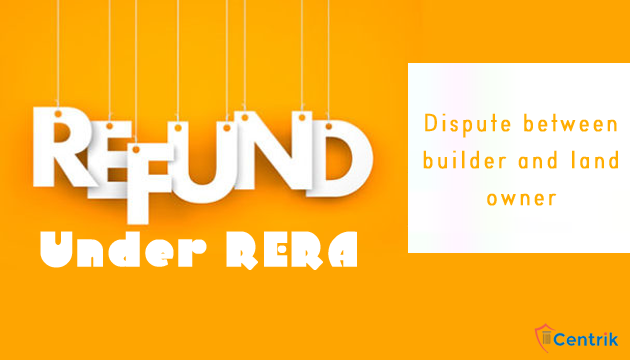 In one of cases, the RERA ordered the builder to refund the entire principal amount along with interest of 15% per annum to be compounded quarterly from the dates of deposit to the date of refund should be refunded in three instalments by the company to each petitioner within 60 days. In the other two cases, the sister company of Agrani drastically changed the plans of the project and the homebuyer were not allotted the flats of their choice hence the RERA ordered refund along with suitable interest. In these two cases the builder has paid the principal amount to the homebuyers. At last we can infer that the dispute between the builder and land owner is nothing to do with the refund cases as per the provisions of RERA laws.